Question For All #Sackvillans: What Else Do We Want Here? | Sack-Vegas!!!! Question For All #Sackvillans: What Else Do We Want Here? I did this last year and got a lot of different responses. I’m wondering what you would like to see in our community in the way of retail shops, services and recreational facilities. I have a pretty good sense of what some of you want from all the conversations I have had and tweets that I have read. We have seen a few new things pop up over the last year and I am pretty sure the trend is going to continue and hopefully all those empty spaces will be filled. I have always thought this is a prime area to try out new ideas because there are a lot of us around and we are willing to spend the bucks locally. So, let it rip! I think people will be interested to see what we are thinking. Posted by Sacky on January 23, 2014 in Burning questions!. A decent hotel with an added attraction of a pool or spa or something similar. I would love to see a Second cup coffee shop in sackville. I love their coffee. My son would like a lego store…love to also have a hotel with a nice indoor pool. Something like crystal palace witjh indoor amusement. I would like to see continued expansion to the park behind the library with more local events like the Christmas tree lighting ceremony. The ceremony is great but can get cold just standing around. More child friendly events. I would love to see the Bedford/Sackville connector trail finished it’s route along the Little Sackville River from the Hwy#101 to Glendale Rd. Then have the abandoned railway line torn up and made to a Rails to Trails, connecting the Bedford/Sackville trail to Beaverbank/Waverly and Mt Uniacke etc. The end of the railway trail would also tie into the Second Lake trail system, making Sackville the best fitness trail system in HRM. Please NO MORE COFFEE SHOPS! How about a Chickenburger in the old Timmies? We could use an indoor skateboard park! I’m a local single Sackville mom who started the Metro Skateboard Association with it’s main goal an indoor skateboard park. I have a lot of interested parties but no home. A book store, some decent clothing stores, a hotel with pool would be nice. Chapters & Starbucks, with a decent hotel. Tear down the Staples building and the old Downsview abandoned Tim Hortons…All in one Chapters/Starbucks/Hotel!! It would be nice to have a Bookstore, Chapters is great. I think an IKEA would bring alot of traffic to Sackville which would be a nice start to adding more and more stores! What about an area where there would be food trucks offering all different types of fare. The area would be traffic free in the summertime with picnic tables set up to attract families. Bring in more people and perhaps it would give entrepreneurs the feeling that just maybe they could set up their own shops for books, jewellery, clothing, baked goods, whatever and actually have customers. 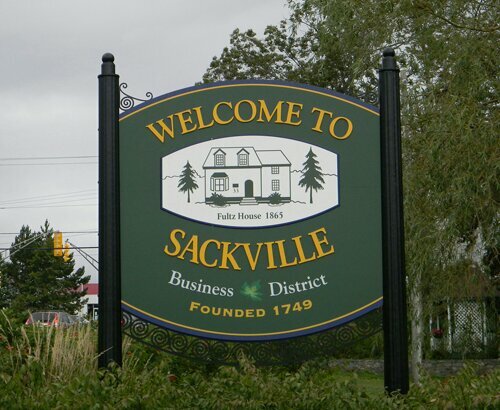 Sackville gets a big store ,then they go to Bedford or a business park. Small businesses stay in one spot . Every small business could be the workplace of a few new employees. The greatest asset to the community would be to finish the Sackville river trail and the hants port rail line trail. A community farmer’s market like the one in Hamonds Plains would also be great and some bike lanes! The Cobequid Community Arts Centre in Sackville!!! A performing centre in Sackville would bring in customers to the whole business community!